F-100T over Sembach. 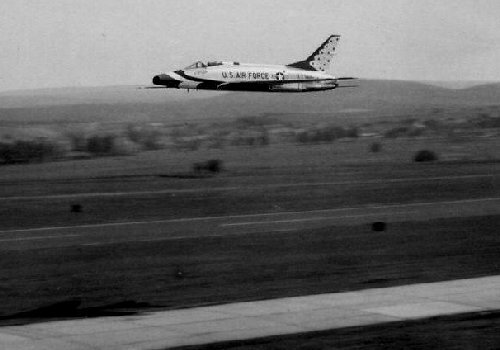 This was one of those rare occasions when the Thunderbirds used Sembach as their practice field. Note the proximity of the aircraft to the ground, and its shadow to the lower left of the image. 1963 photo courtesy of Jim Pint.